Cuba is not a creditworthy country, having long defaulted on its external debt and accumulating payments arrears to a broad range of official and private creditors.1 As such the global economic crisis is having a profound impact on Cuba’s already restricted ability to obtain external finance. The crisis is affecting mostly the country’s ability to finance imports and other trade and project transactions through the use of bank credit. This restricts the Island’s import capabilities by forcing the use of cash financing. Data on Cuba’s external finance is scarce and of mixed quality. It is especially poor regarding its largest component, the special arrangement with Venezuela. Credit arrangements with other friendly developing countries are similarly difficult to understand given the lack of information about credit terms. The best data comprises finance from international banks. Cuba has had access to some international bank financing in spite of its multiple defaults on official and commercial lending facilities and past securities issuance. Active bank credits and guarantees mostly support international trade transactions. Trade finance is regarded as one of the least risky forms of lending in international finance. Financing of import transactions is regarded as a high priority for any country, and most governments are willing to provide liquidity out of their international reserves or other foreign currency assets to meet trade finance obligations. Nonetheless, as international financial and monetary conditions deteriorate, commercial banks review their lending exposure and curtail lines of credit and the tenor of lending to less creditworthy borrowers. This risk adverse behavior by commercial lenders has a powerful impact on the least creditworthy countries. To some extent Cuba can offset the curtailment of commercial bank credit by access to new sources of finance from large developing economies such as China and Brazil. But this is of little help in the financing of trade and working capital for imports and projects from companies in OECD countries which provide imported food and capital goods for the Cuban economy. 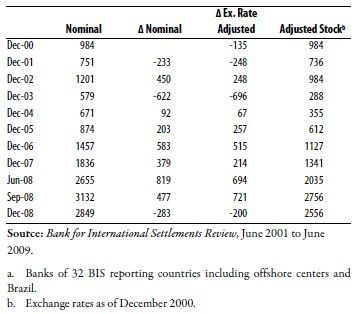 Data from the Bank of International Settlements (BIS) shows a steady increase in lending by its reporting banks from 32 countries, including offshore centers and Brazil, in the seven years up to end 2007, just before the onset of the crisis, from an outstanding amount of $1.6 billion at the end of 2000 to $2.9 billion in December 2007 (see Table 1). But concurrent with the beginning of the global financial crisis, outstanding amounts declined sharply to $2.2 billion at mid-year and $1.9 billion at the end of 2008. It appears banks were anticipating the worsening of credit conditions and the need to improve the quality of their loan portfolio at the onset of the crisis. The one billion dollar decline in available bank finance places substantial stress on the international liquidity available to the Central Bank of Cuba and state entities engaged in trade and project finance. With Cuban imports in 2008 estimated at $14.5 billion by the Economist Intelligence Unit,3 the ratio of bank finance to imports at 13% can be considered low. Excluding Venezuelan oil imports, financed by special bilateral arrangement, the ratio improves modestly to 16%. When exchange rates are taken into account, the historical picture regarding Cuba’s access to bank credit looks markedly different. 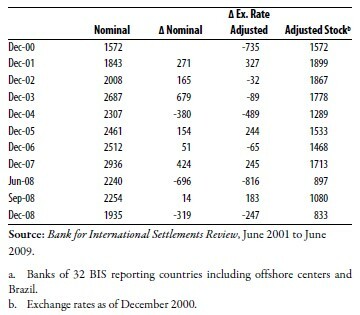 Table 1 shows the stock of BIS bank debt to Cuba adjusted for exchange rate variations. The 87% increase in outstanding finance during 2000–2007 becomes a 9% increase when measured at constant 2000 exchange rates. The explanation lies in the appreciation of the Euro and other currencies against the dollar. The picture that emerges then is that Cuba’s access to international bank credit was expanding at a slight pace during the 2000–2007 period when measured in Euro and other non-dollar currencies. The same analysis applied to the year 2008 confirms the point that credit lines have been cut appreciably during the global crisis and that the decline is not the result of exchange rate effects on the stock of debt. The tenor or term structure of bank debt can be a gauge of liquidity, perceived changes in creditworthiness and the ability to manage liabilities by borrowers. Governments and companies prefer to have longer maturities and thereby reduce the rollover risk implicit in credit facilities with very short maturities. Longer maturities enable the central bank to make better use of its reserves and to avoid access to expensive back-up financing. However, during financial crises, banks take the opposite view, aiming at shortening maturities which are perceived as being less risky to the lender and allowing a better match to bank funding availability. 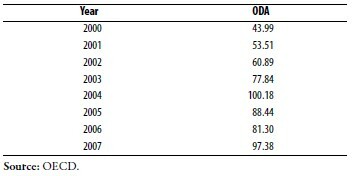 BIS data allows taking a peek at the term structure of Cuban bank borrowing (Table 2). The data shows that a modest lengthening of bank financing took place in 2003–2007. Measured in current dollars, loans of over two-year maturity doubled from $449 million to $830 million, while maturities of less than one year experienced only a modest increase. The nominal improvement in long-term finance quite likely has a strong exchange rate component as much of the new financing was Euro-denominated, and it also would imply a shrinkage of short-term lines available to Cuba when measured in Euro and other non-dollar currencies. Using mid-period weights4 for the BIS data yields an estimated average maturity of 1.3 years for bank debt in December 2003, which lengthened to 1.5 years by December 2006 and December 2007. Applying the same method, only a small decline to 1.4 years in average maturity is estimated for 2008. The implication is that though the crisis has induced a marked contraction in available credit lines, it had a minor impact on the tenor of the loan facilities. This is probably the result of the non-renewal of credit lines across the board as facilities matured in 2008. BIS maturity data registers contractual terms, not residual maturity, in which case there could have been a greater shortening of maturities than observed. 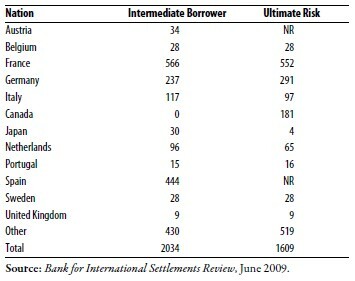 Table 3 presents bank claims on Cuba by nationality. One-half of all bank lending to Cuba at the end of 2008 is accounted by French and Spanish institutions. Other significant lenders are German and Italian banks. It is interesting that data shows Canadian banks with zero exposure on an “immediate borrower” basis, that is, direct lending to a Cuban national entity, but shows $181 million in lending to Cuba on an “ultimate risk” basis. This derives from credits taken by Canadian companies operating in Cuba, which the BIS classifies as ultimate Cuban risk since repayment is subject to Cuba allowing the company to transfer payments abroad to creditor banks. On similar lines loans from German institutions on an “ultimate risk” basis significantly exceed those made to Cuban borrowers. The sources of the apparent strengthening of international liquidity are not clear. The Cuban government does not publish any significant information on the capital account of the balance of payments. Estimates by the Economist Intelligence Unit and others show a deficit on the current account for 2008. Trade data for 2008 released by the Cuban government suggests that the current account deficit may be in the order of $3.5 billion.6 The increase in foreign assets indicates a surplus on capital account cash flow whose origin can not be ascertained with the available fragmentary data. Reports of frozen import and supplier payments and profit remittances of foreign companies at Banco Financiero Internacional and other Cuban state banks show that the government is slowing payments abroad, which may help increase assets of the Central Bank and other state entities. Friendly governments are an important source of external finance for Cuba. The traditional element of finance from these governments is in the form of Official Development Assistance (ODA) as measured by the Organization for Economic Cooperation and Development (OECD).7 ODA comprises grants and concessional lending made by governments and agencies of developed countries and by multilateral agencies. It also includes lending operations by some developing nations. A second and increasingly important source of friendly government financing are bilateral arrangements, particularly with China, Brazil, Russia, and a few other developing nations. ODA to Cuba is modest in amount and scope. This reflects Cuba’s suspended membership in multilateral aid organizations such as the World Bank, Inter- American Development Bank, and the International Monetary Fund, as well as its exclusion from U.S. assistance through the U.S. Agency for International Development, the U.S. Export-Import Bank, and other entities. 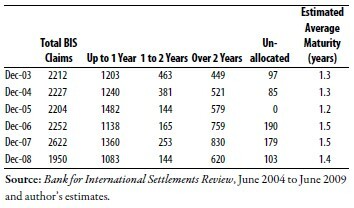 Total gross ODA to Cuba in 2007 amounted to only $97 million (Table 5). While this represents a doubling of outlays since early in the decade, some of the increase is a function of currency movements. Information is not yet available on ODA funding during the global economic crisis, but it is unlikely that dramatic changes in the level of aid have taken place. Cuba’s potential access to ODA is large if it were to institute market-friendly changes in its political and economic structure and solicit readmission to multilateral agencies. The most important country source of ODA to Cuba is Spain, which provided $24 million in 2007, followed by the United States with $12 million and Canada with $8 million (Table 6). U.S. funds presumably were provided by charitable organizations authorized to supply medicines and other humanitarian aid.8 The European Commission provided $5 million including funds from Germany and other EU members using the Commission as a development assistance vehicle. Bilateral trade and project financing is a growing and critical source of funding. This involves primarily two large developing economies, China and Brazil. Russia is also reported to be providing new credits. The sharp increase in Cuban imports from China to at least $2 billion in 2007 and 2008,9 in particular, suggests that Chinese banks are providing ample financing for its exports to the island and may also be including a substantial medium-term component for imports of capital equipment. This would be a complement to joint Cuban-Chinese projects in the nickel, petroleum, biotechnology, and other sectors announced in the last five years and expanded by agreements signed during the state visit of China’s President Hu Jintao in November 2008. To the best of my knowledge there are no reports available from either Cuban or Chinese sources indicating the dimensions of financing now available. Brazilian state banks and companies represent a new source of financing for Cuba. In January 2008, Brazil’s President Lula offered Cuba up to one billion dollars in new credit lines.10 This reportedly included credit for food purchases of up to $200 million, $600 million for road and other construction projects, $70 million for a nickel plant, and additional credits for biotechnology projects. Credits are also available for Brazilian company exports as long as Cuba is able to provide collateral. Petrobras, the Brazilian state oil company, is also engaged in offshore exploratory activities with Cupet, the Cuban oil company. The special arrangement with Venezuela took formal shape with the signature in October 2000 of an Energy Agreement between the two countries, which initially comprised the sale of 53,000 barrels per day (b/d), of which 40,000 were crude oil and 13,000 derivates. The volume of oil products shipped increased, and by April 2005, Venezuela was providing 90,000 b/d.13 In 2007 and 2008, shipments apparently were at the higher level of around 90,000 b/d, but these estimates by independent analysts are unconfirmed. Exact terms of the Energy Agreement are not public. One analyst is quoted as saying the discount is “as much as 40 percent.”14 A basis for comparison is external finance provided by Venezuela’s Petrocaribe scheme for financing of oil imports to participating Caribbean and Latin American countries. The grant component of Venezuelan finance can be estimated on the assumption that Cuba obtains the best Petrocaribe terms15 which are 40 percent due in 90 days and 60 percent over 25 years at an interest rate of one percent. On the assumption of five years’ grace period and equal amortization over 25 years at interest of one percent, the grant component of long-term financing is 47 percent. In 2007 the value of oil imports is estimated at $2.1 billion. This figure can be compared to publicly announced figures for the value of bilateral trade between Cuba and Venezuela in 2007 of $7 billion.17 The implication of this number is that the valuation ascribed to Cuba’s exports of goods and services to Venezuela must be very high, since it is unlikely that Venezuela’s non-oil exports to Cuba were more than 30 percent of the value of its shipment of petroleum products. In effect the number implies a value of Cuban exports to Venezuela approaching $4 billion. Such a high valuation of Cuban exports of goods and services to Venezuela implies that the terms of trade of barter arrangements between Cuba and Venezuela are exceedingly favorable to Cuba and would also imply that the grant component of Venezuela’s de facto financing is appreciably higher than the 47 percent of the most favorable Petrocaribe terms. It also means that at such high valuation levels, actual debt financing by Venezuela of Cuban oil imports may be a relatively small fraction of the overall import bill and consequently accumulation of debt to Venezuela may be smaller than heretofore estimated by analysts. Cuba’s considerable external debt and the cessation of payments on most of it is de facto an external financing mechanism.18 The long-standing default which goes back to the 1960s with more recent default episodes signify there is a massive accumulation of arrears on the non-performing debt which contractually adds to debt level. This debt and associated accrued interest is much higher than previously estimated. In November 2008 the Paris Club19 disclosed that the outstanding debt of Cuba as of September 1, 2008 to Club members amounted to $29.7 billion, second highest worldwide after Indonesia.20 The bulk of the debt is non-ODA debt, mostly due to export credit agencies, which totals $29.4 billion. This estimate of a single component of the external debt exceeds previous estimates of the total debt, which was placed at $19.6 billion at end 2008 by the Economist Intelligence Unit and $23.8 billion at end 2007 by the Cuba Transition Project at the University of Miami.21 The discrepancy arises largely by the apparent complete inclusion of debt of the Soviet era, now a claim of Russia, a Club member, and by the full capitalization of interest and principal arrears. The Paris Club in its data release does not provide a detailed explanation of the methodology used to calculate amounts outstanding, but it states that “the comprehensive data cover the full range of claims” by Paris Club members on sovereign countries. Cuba’s macroeconomic situation does not allow the full servicing of its entire external debt and the Island is expected to continue in default of its debt to the Paris Club in the foreseeable future. The range of annual interest currently due and not paid on the Paris Club debt is $1 billion to $1.5 billion. Interest charges vary among different export credit agencies according to the maturity, type of product financed, type of financial operation (export credit, guarantees, insurance), and credit quality of the borrower. Little information is available on non-Paris Club debt that may be in arrears. Some outstanding obligations to commercial lenders and to official lenders in non- OECD countries are also in arrears. An important component of non-Paris Club debt that could be in arrears would be debt to Venezuela, but this is terra incognita. The global crisis presents a difficult international credit environment for developing countries. Cuba in particular, with its large and unsustainable non-performing debt, is being especially hit as the data above shows. Yet even in a difficult global environment, Cuba may be able to access some new financing at lower cost if it were to institute substantial economic policy changes and loosen restrictions to its international and domestic payments and tax systems, allowing a stable structure of credit facilities that would circumvent the country’s low credit rating. Cuba will at some point undergo a comprehensive renegotiation of its external debt to the Paris Club. This will be done when sufficient policy change in the country allows it to meet the institutional, fiscal and balance of payments conditions necessary for reduction of debt to the Paris Club. Bilateral restructuring of parts of the non-performing debt may take place before a comprehensive renegotiation and allow some new lending. Even before an approach to the Paris Club may be undertaken, the possibility exists for Cuba to access new commercial financing. This would require an easing of exchange, fiscal, and other controls and greater transparency in export transactions. In addition it would involve providing collateral given the country’s low credit rating. The usual source of collateral is product flows from exports of goods and services. Credit facilities could be provided for nickel and other mineral exports if product supply could be made stable and predictable. The new facilities would require a few large buyers of Cuban mineral to commit making payments through an offshore vehicle that would issue debt and guarantee payment of outstanding obligations.22 This offshore vehicle, because of the cash-flow provided by export products, would in turn be rated much higher than Cuban sovereign risk, lowering the cost of financing. Distrust of the dismal record as a debtor of the Cuban government would still present great obstacles to establishing the required offshore facilities which would have to be substantially over-collateralized. Cuba’s tourism receipts and remittances23 are also potential sources of collateral. As for tourism, securitization of credit card receivables is an accepted mechanism employed in several developing countries to use future cash flows as collateral. Credit cards are issued by only a handful of companies which facilitates structuring the funding facility. Restrictions on the use of credit cards in Cuba present an obstacle to establishing appropriate funding facilities. Securitization of remittances is a possibility, though at present its orderly flow is endangered by the arbitrary taxation of proceeds by the government of Cuba. In principle, remittances transmitted through the SWIFT international payments system could be used to back up credit facilities. The potential for securitization of remittances is significant if senders widely use electronic transmission of payments. To enable these transactions and allow securitization, structures must be constructed where the creditors and not the Cuban government or one of its entities have first access to the cash stream for payment of principal and interest. A severe difficulty in establishing financing facilities based on remittances is that relatives outside the country will not favor a mechanism which allows the Cuban authorities to obtain additional finance and therefore would tend to use alternative channels for remittances. 1. Moody’s Investors Service rates Cuba’s external debt as Caa1, a rating within the lowest credit category of C with the borrower typically in default. 2. Paris Club, Annual Report, 2008. 3. Economist Intelligence Unit, Cuba Country Report, May 2009. 4. 0.5 years, 1.5 years, 3 and 2 years. 5. Oficina Económica y Comercial de la Embajada de España en La Habana, “Flujos de Inversión de España en Cuba,” 2006. 6. “Cuba’s trade deficit jumps 65 Percent in 2008,” Reuters, 6/30/09. 7. OECD, Development Co-Operation Directorate, Statistics Database (DCD-DAC). 8. 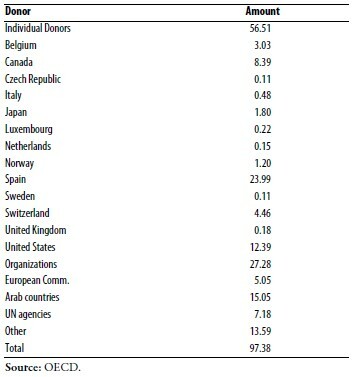 The data from the OECD lists $12.4 million from U.S. sources. This appear to be funds channelled through charitable organizations which may have had some official U.S. funding not used with respect to aid to Cuba. 11. Boletim do Banco Central, Relatorio Mensual, Fevereiro 2009. 13. PDVSA, press release, 4/29/05. 14. Cesar J. Alvarez, “Venezuela’s Oil-Based Economy.” New York: Council on Foreign Relations, February 9, 2009. 15. Applying whenever Venezuelan crude oil exceeds $100/barrel. 16. 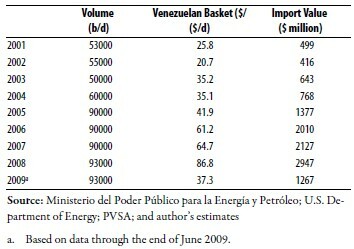 Using Tia Juana oil price, the most expensive Venezuelan crude, increases the value of imports to $3.3 billion in 2008. This compares to Cuban imports of Venezuelan oil products of $4.6 billion recently reported in the Cuban press. 17. Cesar J. Alvarez, op. cit., and press reports. 18. Cuba’s external debt has been surveyed recently by Lorenzo L. Pérez, “Cuba: Access to Capital Markets, External Debt Burden, and Possible Avenues for Debt Relief,” Cuba in Transition—Volume 18 (2008). The Cuba Transition Project, Institute for Cuban and Cuban- American Studies, University of Miami, has also made estimates of the external debt at end 2007. 19. The Paris Club is an informal group of official creditors from 18 developed nations and Russia whose role is to find coordinated and sustainable solutions to the payment difficulties experienced by debtor countries. 20. Paris Club, op. cit. 21. This last figure includes $8 billion in estimated debt to Venezuela. 22. For a survey of new forms of financing including securitization of receivables see Suhas Ketkar and Dilip Ratha, Innovative Financing for Development. Washington: The World Bank, 2009. 23. A discussion of remittances can be found in Jorge Pérez-López and Sergio Díaz-Briquets, “Remittances to Cuba: A Survey of Methods and Estimates,” Cuba in Transition—Volume 15 (2005) and also in Díaz-Briquets, “Remittances to Cuba: An Update,” Cuba in Transition—Volume 18 (2008).